The Fourth of July weekend is just around the corner. For a lot of us in the Great Lakes Bay Region, this summer holiday means backyard barbecues and camping trips, filled with fun times together and delicious warm-weather treats. 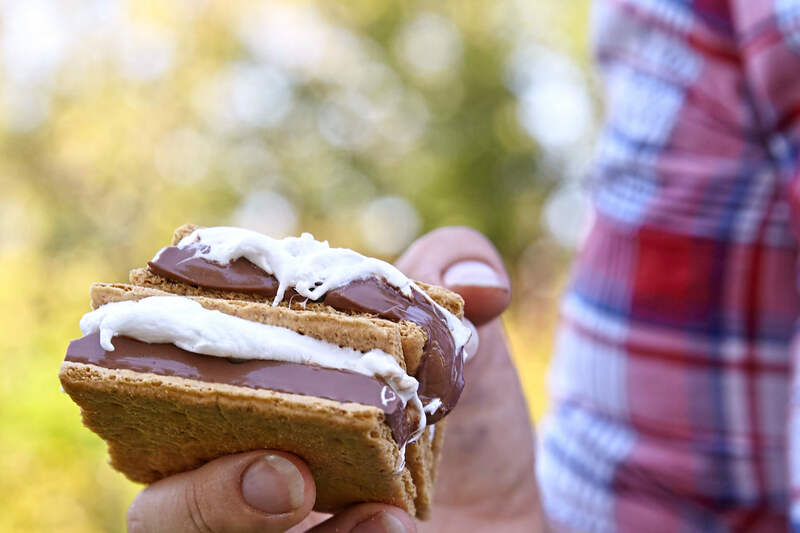 After all, almost nothing says summertime quite like a perfectly roasted marshmallow, browned to just the right temperature over a fire under the stars … unless it’s globs of that ooey-gooey fluff smeared between crispy graham crackers with silken chocolate melting from in the middle. And there are so many other options. Stop into a nearby Jack’s Fruit and Meat Market to add in strawberries, blueberries, or raspberries for a pop of freshness, or even bacon for a savory twist. Switch up the graham cracker with snickerdoodles from the Patisserie in Saginaw or scones from Robaire’s Bakery and Doughnut Shop in Mt. Pleasant. Or, better yet, gather it all up to create the ultimate s’mores smorgasbord. Whatever you decide, don’t forget to share!